Impossibilism insists that socialists should solely (or at the least, primarily) focus on structural changes (sometimes termed "revolutionary changes") to society as opposed to advancing social reforms. Impossibilists argue that spontaneous revolutionary action is the only viable method of instituting the structural changes necessary for the construction of socialism. Impossibilism is thus held in contrast to reformist socialist parties that aim to rally support for socialism through the implementation of popular social reforms (such as a welfare state) and those who believe that socialism can emerge through gradual economic reforms implemented by an elected social democratic political party. Impossibilism is the opposite of "possibilism" and "immediatism". Possibilism and immediatism are based on a gradualist path to socialism and a desire on the part of socialists to help ameliorate the social ills "immediately" through practical programs implemented by existing institutions such as labor unions and electoral politics, thereby de-emphasizing the ultimate objective of building a socialist economy. As a result, socialists who embraced possibilism and immediatism sounded and acted little different from non-socialist reformers. Impossibilist movements are also associated with anti-Leninism in their opposition to both vanguardism and democratic centralism. The concept of impossibilism—though not the specific term—was introduced and heavily influenced by American Marxist theoretician Daniel De Leon on the basis of theory that De Leon generated before his interest in syndicalism began. It came to be focused especially on the question of whether socialists should take part in government and pursue policy reforms that benefited the working-class under capitalism. At the Paris Congress of the Second International in 1900, those who favored entry into government with all the implied compromises called themselves "Possibilists" while those who opposed them (those around Jules Guesde) characterized them as political "Opportunists". 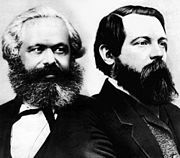 Conversely, the revolutionary socialists who opposed ameliorative reforms and participation in existing governments were called "Impossibilists" by their detractors because they allegedly sought the impossible by refusing to partake in the governing of capitalism. While not usually described as an impossibilist, Rosa Luxemburg opposed both reformism and vanguardism, taking the more classical Marxist perspective that revolution would be a spontaneous reaction to underlying material changes in the productive forces of society. According to Luxemburg, under reformism "[capitalism] is not overthrown, but is on the contrary strengthened by the development of social reforms". Karl Marx famously critiqued reformism and immediatist/possibilist goals advocated by modern social democrats in his Address of the Central Committee to the Communist League (1850). Specifically, he argued that measures designed to increase wages, improve working conditions and provide welfare payments would be used to dissuade the working class away from socialism and the revolutionary consciousness he believed was necessary to achieve a socialist economy and would thus be a threat to genuine structural changes to society by making the conditions of workers in capitalism more tolerable through reform and welfare schemes. Impossibilism was particularly popular in British Columbia in the early 20th century through the influence of E. T. Kingsley. Several members of Kingsley's Socialist Party of Canada (SPC) were elected to the British Columbia legislature between 1901 and 1910. It is also said to be the basis of the theory and practice of the oldest existing British Marxist party, the Socialist Party of Great Britain (SPGB), founded in 1904; and the international World Socialist Movement, though they reject this description. In the United States, the De Leonist Socialist Labor Party of America was viewed as "impossibilist" by its opponents, particularly those in the electorally-oriented Socialist Party of America. A more self-consciously impossibilist organization emerged in 1920 as the Proletarian Party of America, an organization headed by the Scottish-born John Keracher which was directly influenced by the ideas of the SPGB and the SPC. In France, Jules Guesde and the French Workers' Party were accused of impossibilism. ^ Rosenstone, Robert. "Why is there no socialism in the United States?". Reviews in American History (November 1978). ^ Waldo R. Browne (ed.) (1921). "Impossiblism, Impossibilist" in What's What in the Labor Movement: A Dictionary of Labor Affairs and Labor Terminology. New York: B.W. Heubsch. p. 215. ^ Duncan Hallas (1973). "Do We Support Reformist Demands?". Controversy: Do we support reformist demands?. International Socialism. Retrieved 14 November 2013. ^ "Address of the Central Committee to the Communist League". Marxists.org. Retrieved January 5, 2013. "However, the democratic petty bourgeois want better wages and security for the workers, and hope to achieve this by an extension of state employment and by welfare measures; in short, they hope to bribe the workers with a more or less disguised form of alms and to break their revolutionary strength by temporarily rendering their situation tolerable". "Impossibilism," Encyclopedia of Marxism, Marxists Internet Archive, marxists.org/ Retrieved October 16, 2010. Larry Gambone, "The History Of Canadian Impossibilism," Socialist History Project, socialisthistory.ca/ Retrieved October 16, 2010.